Your civ is thriving, but your planet is dying. Do something! Read the entire article at PC Gamer. Disasters aren’t necessarily all bad. Volcanoes are inherently risky to build around for obvious reasons, but volcanic soil is extremely fertile; flooding rivers can wash away village improvements, but you may also see increased food yields when the floodwaters recede. 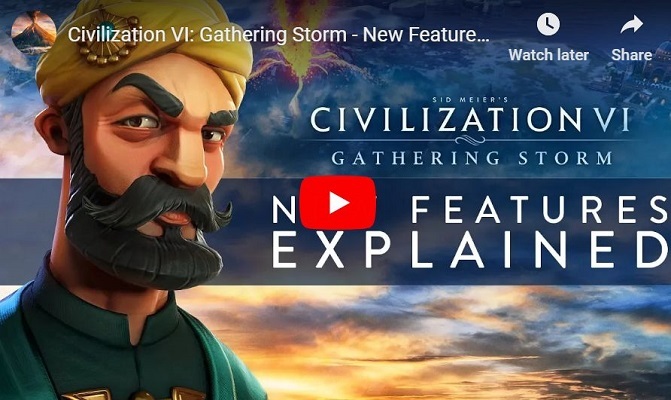 Some of them, like grassland tornadoes, are bad news all around, while others will apparently have civ-specific benefits: Blizzards are tremendously destructive, but can also confer some “nice benefits” if you happen to be playing as Russia. Green technologies can help alleviate the impact of climate change (careful with those nukes, though), and if you can make it into the new Future Era you’ll have the opportunity to make friends and influence people (and maybe save the world) through the World Congress, and advance through the randomized 21st-century Technology and Civics trees.